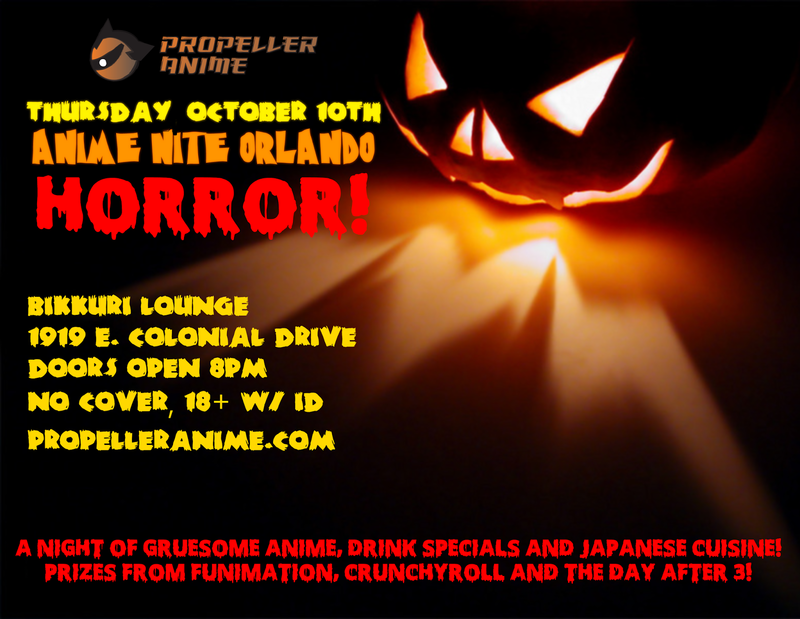 It's Halloween Month and this time Anime Nite Orlando is all about horror! OH, THE HORROR! 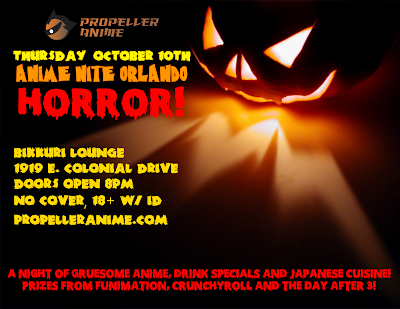 Join us on Thursday, October 10th at Bikkuri Lounge for Anime Nite Orlando: HORROR! 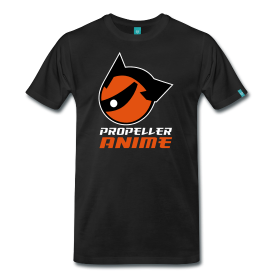 Propeller Anime is about to turn SEVEN which means we'll have SEVEN anime titles for you to vote on! The top 2 or 3 will be shown! On top of that, we have prize swag from AWA, thanks to FUNimation and Crunchyroll! And we'll be raffling TWO tickets to The Day After 3! 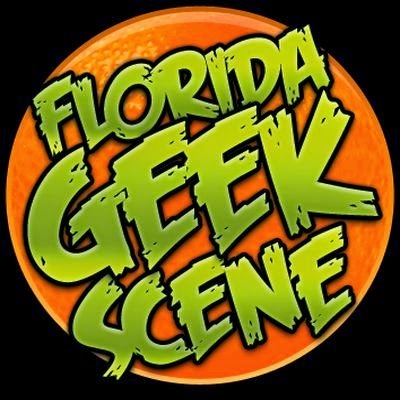 featuring Richie Branson, Mega Ran, YT Cracker, Benjamin Briggs, and MORE! Drink specials are 2 for 1 beers, $3 wells, $5 Crown, Jack, and Three Olives! This event is FREE and doors open at 8PM. Must be 18+ with valid I.D.